Stretch tall and straight. Reaching for the sun in our 19 x 19 courtyard. Nestled between two large blue ceramic pots. One houses a Meyer lemon tree. Laden with yellow fruit. The other an olive tree. Bearing one lone olive. 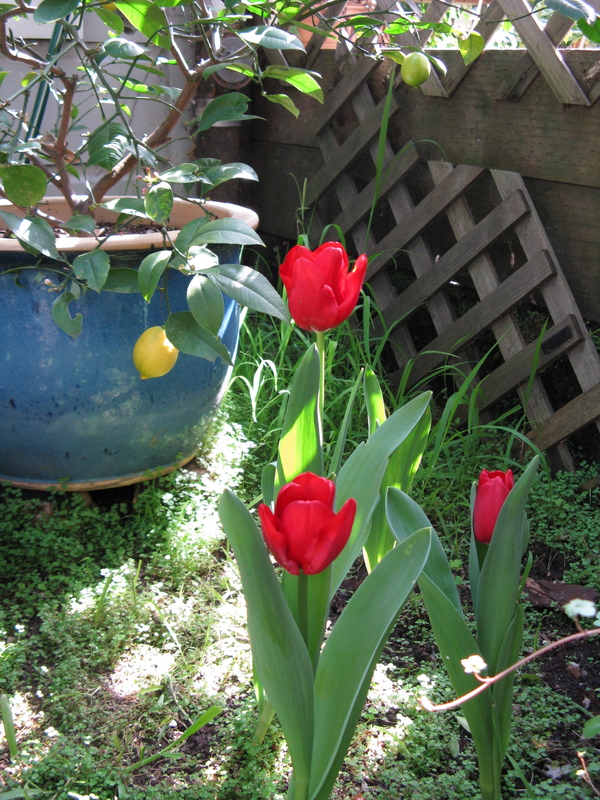 To the right of the olive tree, four more tulips push up through the baby’s-breath-covered soil to display their streaked yellow and red blossoms. 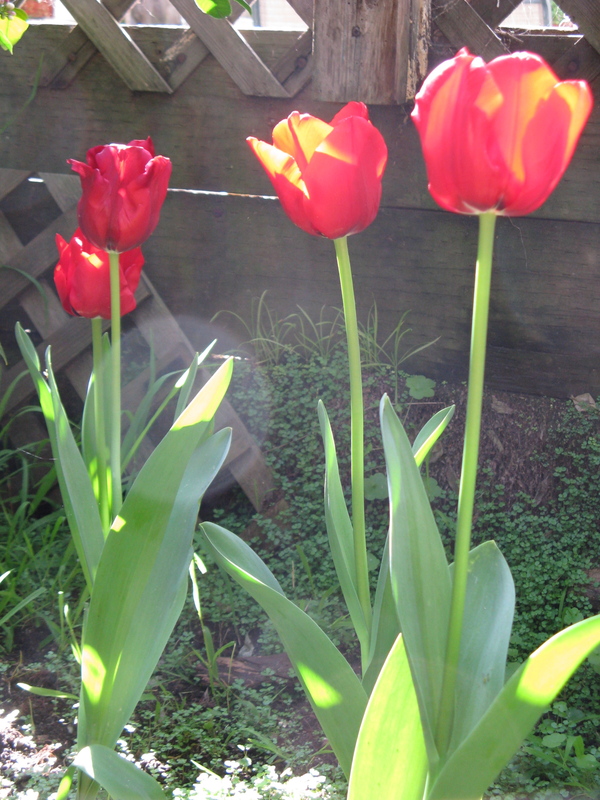 All eight bulbs planted on a cold dark Sunday in January when the sun never reached our little plot of land. A mere 30 minutes of digging. 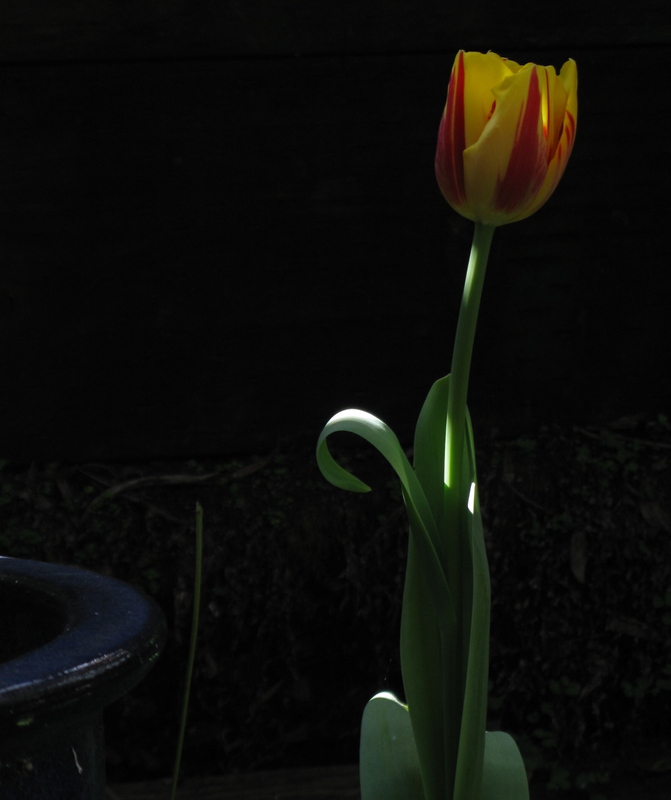 The bulbs, the sun, the water did the rest. We all benefit from their herculean efforts.